A cat born on August 1, 1989 has just been certified by Guinness World Records as the current oldest living cat. 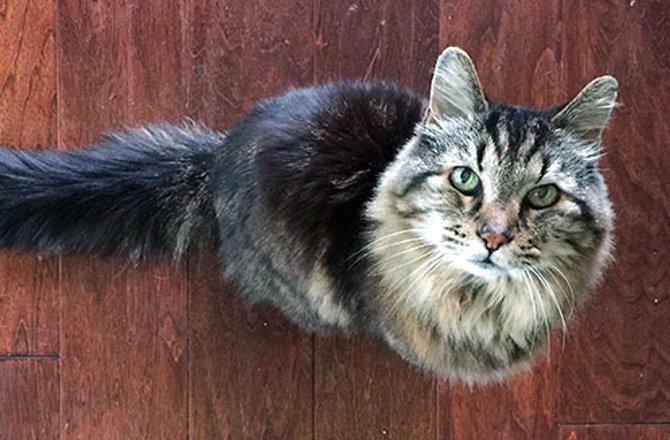 Corduroy, who lives in the United States, originally held the title in 2014, but had to take a demotion when an older cat named Tiffany Two was found to be older. Tiffany Two passed away recently, however, at the age of 27 years, 20 months, and two days. That sad event passed the longevity torch back to Corduroy, who is 26 -- an age well past typical domestic cats, which live on average about 15 years. In the video below, posted to the Guinness World Records YouTube channel, you can learn a bit more about Corduroy and see him in action. The Guinness people note that while Corduroy's age is impressive, he has his work cut out for him if he is ever to catch the oldest cat ever -- Creme Puff, who was born in 1967 and did not die until he was 38 years and 3 days old. Not long after settling in on the Venezuelan savanna the team starts noticing abundant large wildlife, including a mountain lion patrolling its turf.